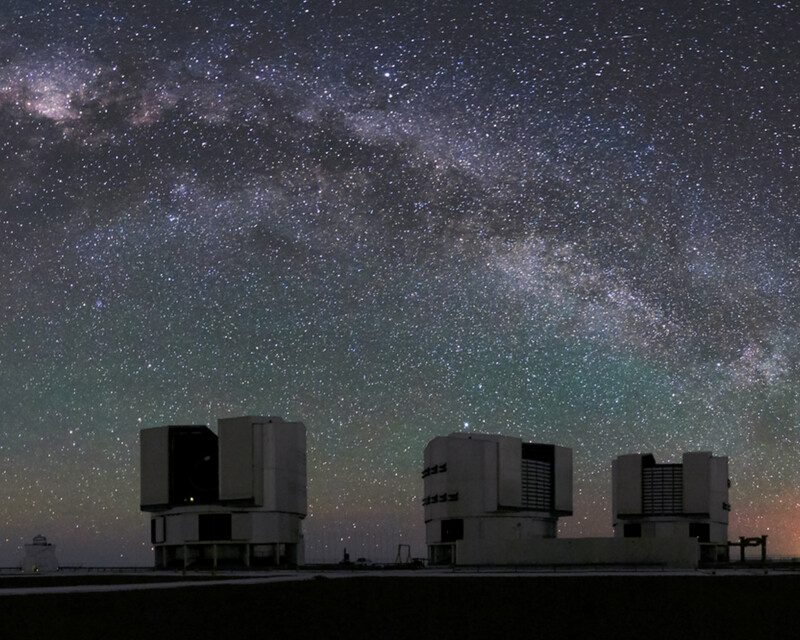 The Milky Way hangs over the Very Large Telescope (VLT) in this spellbinding panorama taken at ESO's Paranal Observatory in the Atacama desert, Chile. 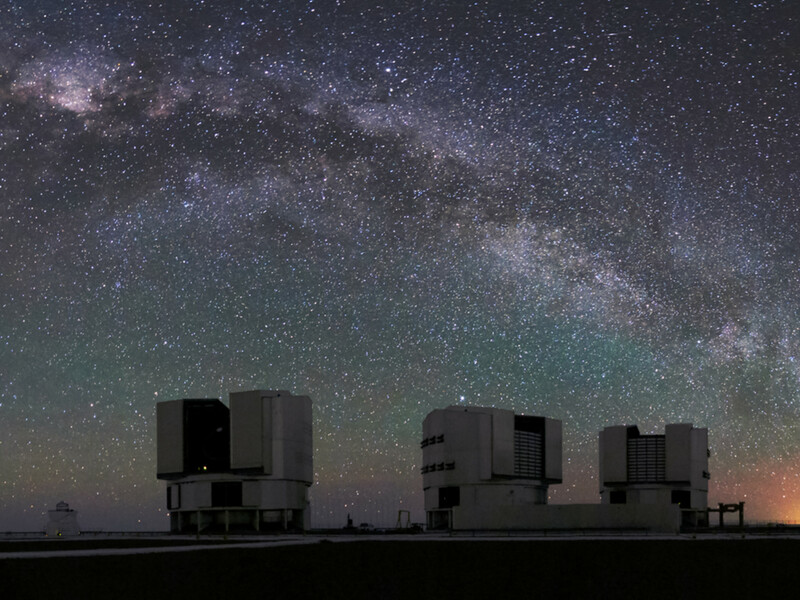 The superbly dark skies allow fine details in the night sky to be observed. 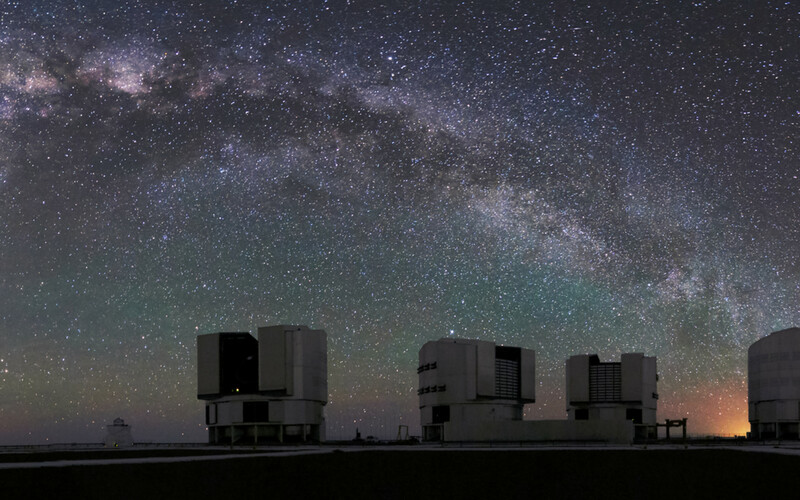 Zodiacal light can be seen to the right of the image and the Magellanic Clouds and the centre of the milky way are shown in stunning detail.